Last night I finally finished making the two pair of jeans that I’ve been working in since the beginning of September. And since jeans making techniques is top of mind right now, I decided to make a video today and share my best tips for making jeans, especially addressing some of the biggest challenges we face when making jeans. They have an extra large eye and goes through thick seams so nicely. Wow – love it! So many great tips and some new ideas for me to try. One thing I am curious about is your construction method. I have come across lots of different ways that people assemble jeans. Recently I purchased the Ginger Jeans pattern and was surprised that her recommended method was to sew fronts together, backs together, then outer edges followed by inseams in one big swoop. I always thought that method lead to leg twisting (because when you sew up the leg inseam you are sewing against the fabric grain and pulling the fabric off grain) but I looked at my husband’s RTW jeans and that’s exactly how they sewed theirs. Do you have any problems with leg twisting in your jeans? 1. When preparing a jeans pattern, make sure to take all your measurements from a good pair of fitting jeans, make all your adjustments to the pattern and ensure you get the fit you want. 2 Top stitching I use the blind hem foot most of the time or edge stitch foot. I also sometimes use 2 regular threads in the top if I can not find colors that I want. This works great and is not much different that using regular top stitching thread. 3. I typically have 3 machines setup for making jeans. b. Another machine setup specifically for top stitching – nice if you have an additional machine. This machine I use the speed control to ensure I go slow and the top stitching is perfect. 4. In my jeans construction I am using a Flat Felled seam for constructing the back yoke, the back seam on the bum, and the seam on the inside of the legs. I find this gives me a more professional/industry looking pair of jeans. Doing this all depends the thickness of the fabric, when the fabric is thick i just use the overlocked seam pressed and top stitch. 5. I started using stiff pressing templates. I put the card stock in my printer and make a copy of the pocket pattern piece so I get the exact pressing done. I also use the template for creating designs on the back of the pocket. Lately I have been using the design from a vintage pair of Calvin Klein jeans. Those are some excellent tips! I’m really anxious to start testing flat-felled seams on jeans and think I will start with one area, and perhaps the yoke would be a good start? I also set up 3 machines. My tip is leather needles! They’re Great for places where there’s lots of layers because they’re designed to slice through Very well. They also have a large eye, like a top stitching needle. Oh! And instead of buying hump jumpers, I use sticky notes. You can make it any thickness you need and since they’re slightly sticky, they stay in place. 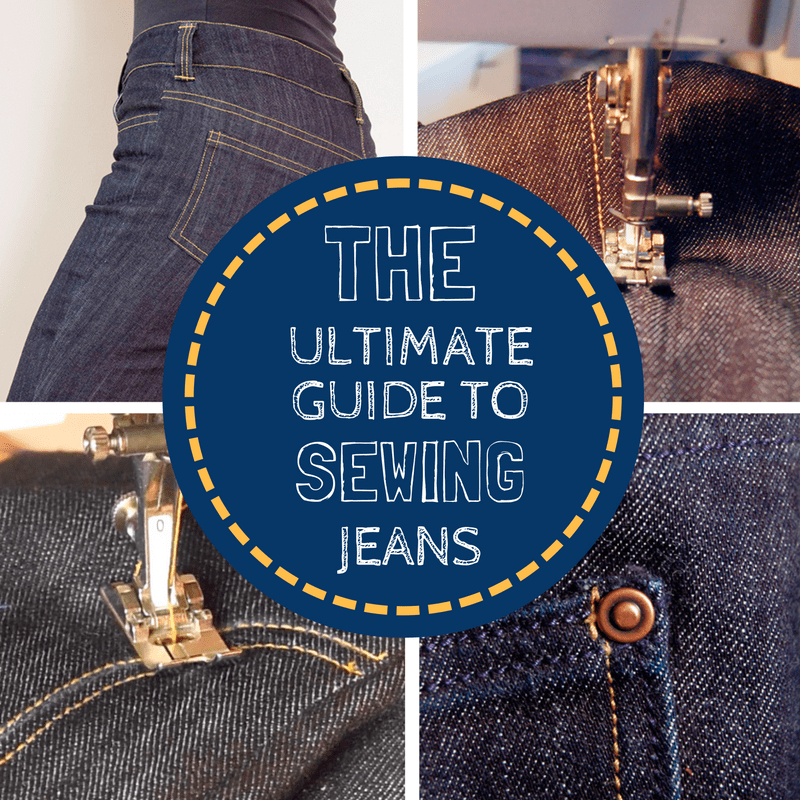 Very helpful for button holes, belt loops and hems!